I’m on the road today, heading to meetings in the Great White North. 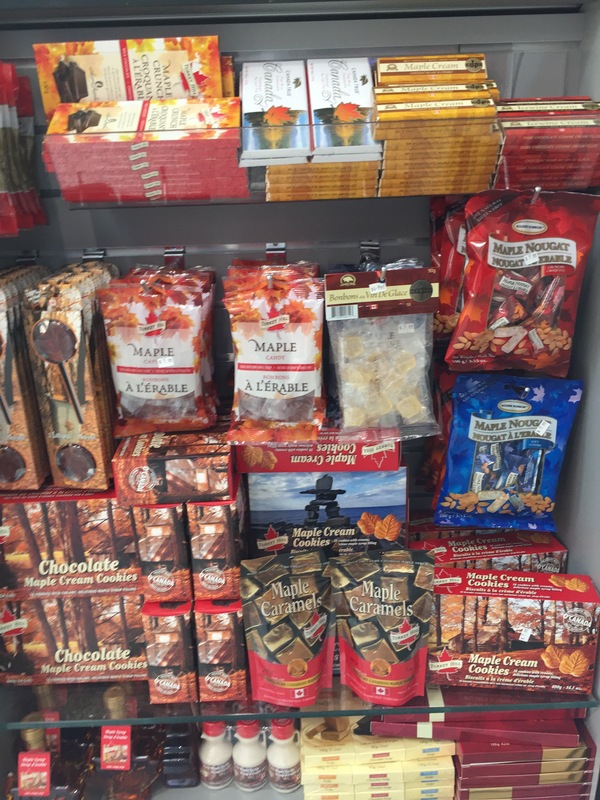 Even if I didn’t know I was in Canada, though, I’d still be able to make a pretty good educated guess about my location based on this shelf in the airport convenience store. Notice a theme here? It’s all things maple — but does anybody really want maple-flavored caramels? This entry was posted in Food, Humor, Travel and tagged Canada, Candy, Food, Humor, Maple, maple-flavored, Travel by webnerbob. Bookmark the permalink.